New Delhi: A day after raiding the offices of former telecom officials and telcos Bharti Airtel Ltd and Vodafone Essar Ltd, Central Bureau of Investigation (CBI) sleuths on Sunday said they were yet to find evidence of money changing hands in a third case relating to irregularities in the award of second-generation (2G) radio spectrum. The agency is also preparing to question former telecom secretary Shyamal Ghosh and former deputy director general of the department of telecommunications (DoT) J.R. Gupta, who served under former telecom minister Pramod Mahajan (2001-03) during the Bharatiya Janata Party-led government. “We have already questioned Ghosh and Gupta during the preliminary inquiry. If required, the agency will confront former telecom officials with the telecom executives," the official said. “Currently, we will do documentation of the papers seized from the offices of Bharti and Vodafone. Then some present DoT officials will be questioned to understand the case. The entire process might take two-three months." 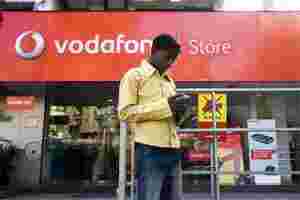 The official said no Bharti or Vodafone executive has been named in the first information report (FIR) registered by the agency. According to the FIR, Ghosh and Gupta entered a criminal conspiracy with three private companies—Bharti Cellular (now Bharti Airtel), Hutchison Max and Sterling Cellular (now Vodafone Essar)—and abused their official positions as public servants. “The public servants, with approval of the then minister of telecom, took an alleged hurried decision on 31 January 2002 to allocate additional spectrum beyond 6.2 MHz in violation of the report of a technical committee," the FIR read. “It was further alleged that the accused persons showed undue favour and caused undue cumulative advantage of approximately ₹ 508.22 crore to beneficiary companies, including the three aforesaid accused companies, since allocation of such additional spectrum till such decision was reversed by DoT in 2008, and corresponding loss to the government exchequer," the FIR added. Ghosh and Gupta could not be immediately reached for comment. In emailed statements on Saturday, Bharti and Vodafone said they were allocated spectrum according to government policy and were cooperating with the investigating agency. CBI is yet to find any quid pro quo, or money changing hands during the award of additional spectrum. “Quid pro quo, if any, will be only established during the investigation," said the first CBI official quoted above. This is the third case the agency has registered over the award of 2G spectrum. In first case pertaining to 2008, CBI has already filed a chargesheet and supplementary chargesheet against then telecom minister A. Raja, his then personal secretary R.K. Chandolia, then telecom secretary Siddharth Behura, Dravida Munnetra Kazhagam member of Parliament K. Kanimozhi, Unitech Wireless Pvt. Ltd, Swan Telecom (now known as DB Etisalat) and others. The Supreme Court, which is supervising the agency in the 2G case pertaining to Raja’s tenure, directed CBI last December to also probe the irregularities committed in the grant of licences from 2001-2007. CBI registered a preliminary enquiry in January and based on its findings filed a case against Dayanidhi Maran, who was telecom minister from 2004-2007 during the Congress-led United Progressive Alliance government’s first term. His brother and Sun TV promoter Kalanithi Maran; Ralph Marshall, deputy chairman of Astro All Asia Networks Plc and director of Malaysia-based Maxis Communications Bhd, and T. Ananda Krishnan, chairman of Usaha Tegas Sdn Bhd in Malaysia, were also charged for corruption and conspiracy. Shauvik Ghosh contributed to this story.